Aside from a watershed that flows to the Atlantic Ocean, these ancient mountains of the Blue Ridge display a lot of bare rock face and cliffs, showing their age in a highly dramatic fashion. Another factor of its age is its watershed, creating an abundance of rivers, creeks, and streams cutting deeply into the land and shaping the mountain slopes. These waterways and steep slopes have provided a habitat of dense forest with heavy thickets of rhododendrons and mountain laurels. This landscape effect is called the Blue Ridge Escarpment, a sharp drop in elevation between the mountains and the Piedmont below. This diverse landscape offers a unique outdoor opportunity, and historically has been a popular escape from the hot humid lowlands of the Carolinas. Temperatures in this mountain region can average 20-degrees cooler in the summer months, a trait that has made the Cashiers region very desirable. At 3,487 feet above sea level, the resort town of Cashiers is a prestigious high mountain resort town, offering excellent lodging, country clubs and golf, a unique shopping district with specialty shops, galleries, fine restaurants, and eateries. The town of Cashiers prefers the title Cashiers Village; its slogan, "Heart of the Mountains," is a good and fitting handle. Aside from its unique shopping district, two of Cashiers outstanding features are the Cashiers Recreation Center and the Village Greens and Commons Park. The Cashiers/Glenville Recreation Center is a state-of-art fitness center. The facilities are very impressive, serving the growing number of prestigious communities and neighborhoods surrounding the village. The Village Greens and Commons is one of the finest assets Cashiers has to offer. The park's setting, located in the center of town, is awe-inspiring and beautifully laid out across an open meadow with artistic, rustic pavilions, and walking trails. Large life-sized sculptures by internationally renowned artists line the walkways. There is also an exceptional playground, exquisite gardens, protected wetlands, and much beauty to behold. Located in the heart of the Village of Cashiers, this popular park hosts 80 events each year. The Village Greens and Commons Park came into being when three local residents decided to purchase the property from a hotel chain in order to preserve the character of their quaint village. The founders envisioned the 12.5-acre tract as a very special park in the heart of Cashiers, intended to serve the community by bringing local residents and visitors together. This parkland is definitely a designated "place of interest" when visiting the Cashiers area; the gardens are absolutely superb. A garden plaque states "Cashiers Community Celebration Garden, dedicated on August 6, 1994. The Village Green exists to preserve and enhance land for our community's civic, spiritual, academic, recreational and cultural activities and to maintain the quality of life for all citizens and visitors in the greater Cashiers area." The main annual events and festivals held in the township and village of Cashiers are the July 4th music and fireworks program, featuring area and regional performers, Friday evening Groovin' on the Green concerts, the Leaf Festival, Tour de Cashiers, and the Annual Christmas Parade. The Village Greens and Commons speaks boldly of the quality of lifestyle Cashiers has to offer residents and visitors alike. Another outdoor feature on the edge of Cashiers Village is the picturesque Cashiers Lake, conveniently located on Cashiers Lake Road just off Hwy 107 south. Local outdoor activities include hiking, camping, lake and fly-fishing, boating on numerous lakes both big and small, enjoying waterfalls and rushing waterways, golfing on nationally ranked golf courses, mountain biking, horseback riding opportunities, and scenic driving tours. Local outdoor points of interest are Whiteside Mountain and Trail, Yellow Mountain Trail, Panthertown Valley Falls and Trails, Whitewater Falls, Silver Run Falls, and Sliding Rock Falls. The history of the area began to be established when the first homesteaders arrived in the 1820's. One early arrival was that of Colonel Zachary and his son, who moved into the Cashiers area in the spring of 1833. Two years later James McKinney and his family bought 600 acres in the area. McKinney had a very expensive horse he called "Cash." One year, Cash could not be found for the winter's herding of livestock to lowlands. The next spring, to McKinney's amazement, Cash showed up; from that point on he called the area "Cash's Valley," so the story goes. 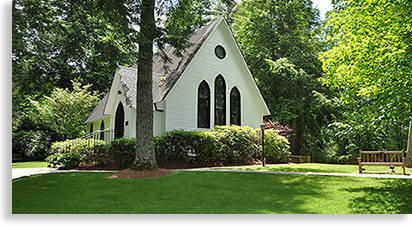 Many of the historic homesteads, churches, schools and other structures in the Cashiers community area are regarded as beloved treasures of their mountain community heritage, to be preserved for posterity's sake, connecting the past with the present. There are five properties near Cashiers that are listed on the National Register of Historic Places: the Mordecai Zachary House, the High Hampton Inn Historic District, Fairfield Inn, the Church of the Good Shepherd, and Camp Merrie-Woode. The Zachary-Tolbert House Museum, located on Hwy 107 is one of Cashiers Historical Society's prized treasures. Built in the 1840's by Mordecai Zachary, this modest mansion for its time stands today as it was originally constructed, including all the handmade furnishings also constructed by Mordecai Zachary. The house and furnishings are a historic treasure chest. This Greek-Revival residential structure has had only four families owning the property. Each owner left the house in the exact condition as when it was constructed, with no modern amenities such as electricity or plumbing added. The original furnishings have remained with the house, forming a collection of Southern Plain Style furniture, all created by one individual for one setting--a very rare find. In 1873, Mordecai Zachary and his family moved from Cashiers. The house and property were purchased by the Tolbert family for a summer retreat. The Cashiers Historical Society acquired the house in the late 1990's. In 1999, the house was placed on the National Register of Historic Places. Also located on the property, adjacent to the house, is the Dowden Pavilion, which now houses the offices and facilities of the Cashiers Historical Society, with a modern catering kitchen. This pristine four-acre site includes the Nature Trail, which weaves through and around the property and has a very peaceful and tranquil atmosphere. A handy map is available at the Dowden Pavilion; the map displays points of interest along the trail. The Nature Trail is an easy walk that travels through grassy open areas and woodlands. The Cashiers Historical Society's mission is to preserve both stories and places. The Historical Society is located on Hwy 107 in the Old Cashiers Schoolhouse circa 1915. The society's calendar of activities include Heritage Apple Day, Regional History Rambles, Symposiums, Oral History & Historic Site Events, a Founders' Day for area school children, and the Cashiers Designer Showhouse, the highlight of the summer season. The rich history and magnificent landscape of the Cashiers area are a treasure to behold as well as enjoyed, whether living in leisure, or "ruffin' it" out on the trail. Cashiers, the "Heart of the Blue Ridge." Smoky Mountain Getaways would like to invite you to escape to a cabin in the Smoky Mountains of North Carolina. We have a variety of cabins offering lake-front, river front, golf courses, mountain views and seclusion. You can enjoy hot tubs, WiFi, pool tables, fireplaces and more as well as the beautiful surroundings of the Smoky Mountains. Treat yourself to our luxury North Carolina vacation rentals. They don't cost more…they just feel like it. Jackson County is home to the vibrant town of Sylva, NC. Sylva real estate gives access to the serenity of the mountains, while still giving the small hustle of a little town. Just a few miles away, still in Jackson County, sits the beautiful campus of Western Carolina University, which gives Sylva the feel of an intimate college town. Jackson County also bumps against the final stretch of the Blue Ridge Parkway, which holds a vast expanse of mountain scenery. Sylva homes are the ideal Western North Carolina real estate for those who love the mountains, but still want a dash of hustle and bustle in their lives. If you are looking to buy or sell real estate in Jackson County contact Berkshire Hathaway HomeServices Great Smokys Realty today to setup a free consultation. We are responsible for all aspects of all transactions all the time. So sit back and relax we have you covered.